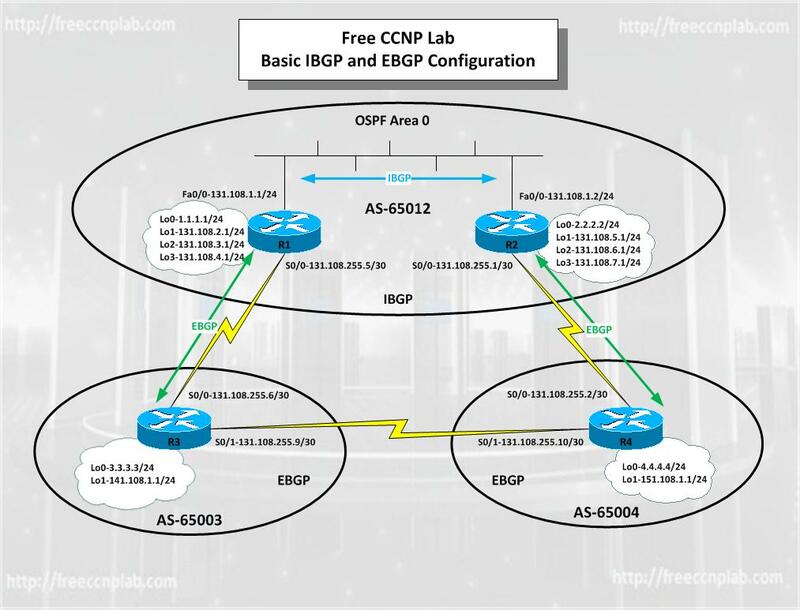 In this Free CCNP Lab you will configure IBGP and EBGP across four routers as shown in the accompanying network diagram. OSPF is configured between R1 and R2. To insure a loop free topology we will not disable synchronization on any router. Ensure the loopback address on R1 and R2 are reachable via R3 and R4. The GNS3 topology has been included with all IP address and loopback preconfigured. The solution configuration is also included but don’t cheat yourself complete the lab on your own before viewing the solution. Learn to configure BGP Neighbors. Learn to advertise networks using BGP. Learn to prevent loops in BGP. Learn to configure the weight command.